Earlier this week, I had an appointment that I just knew was going to be a challenge. There would probably be a confrontation and maybe even hurt feelings. Now, normally I would worry about a meeting like this. I would stew and think and plan and rehearse everything so that I could be prepared for any scenario. The planner in me can go a little overboard. Did you know that worry is a choice? You don't have to be scared and anxious and bent out of the frame over something that hasn't happened yet. God has already gone on before - He knows what lies ahead because He has already arranged it for us. The test of our faith is to trust that it's been done perfectly. That means no need for worry. Make this a weekend of release. 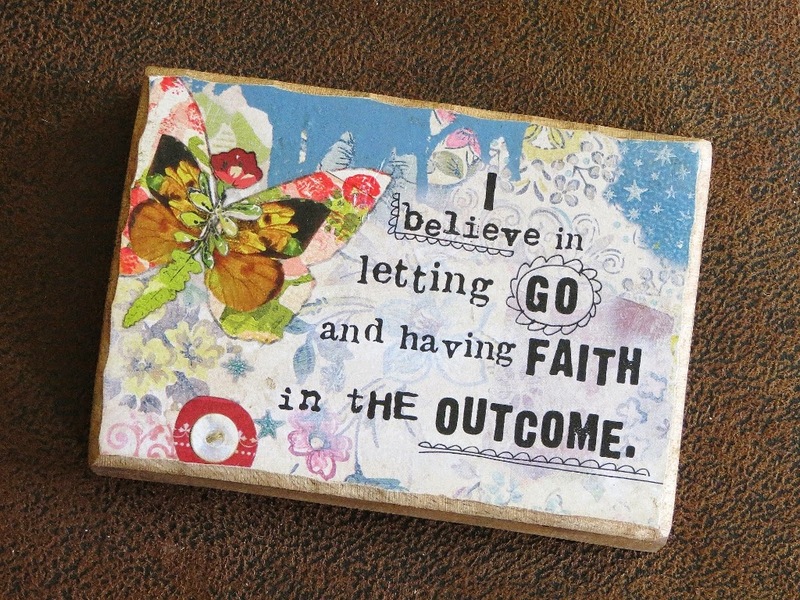 Make the conscious decision to leave worry behind, let go and have faith in God's plan for your days. When I did just that, nothing that I imagined might happen happened. There was no confrontation, no words exchanged and no hurt feelings. I firmly believe that's because I let go and let God handle it all.